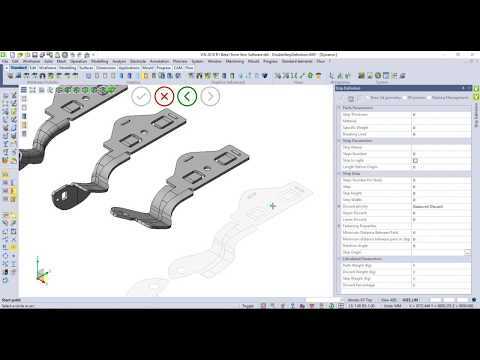 The Blanking functionality has been enhanced further on VISI 2018 R1 to manage constraint on the sheet metal part by selecting a specific face, which could also have edges linked to other faces. Moreover, it is possible to define the face constraint in X or Y or both directions. 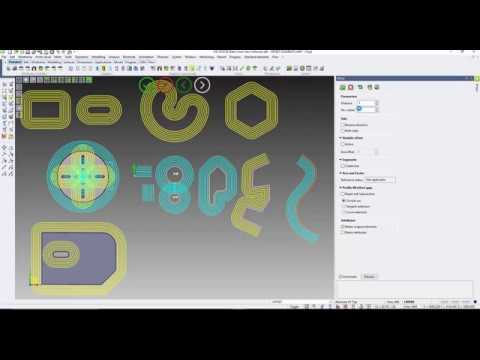 This is an extremely useful functionality for die designer to blank only specific faces of a model for step by step progressive die design. 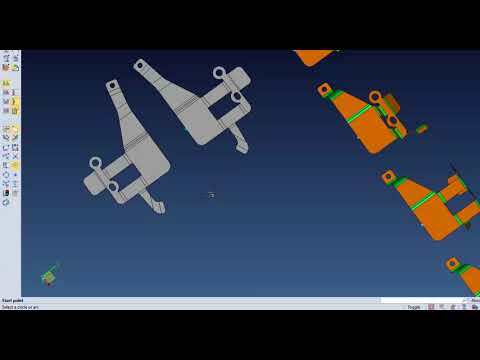 The Strip management has been enhanced to allow the creation of strip with double parts very quickly. The system calculates the bounding box and allows the user to choose between different positioning on the strip. 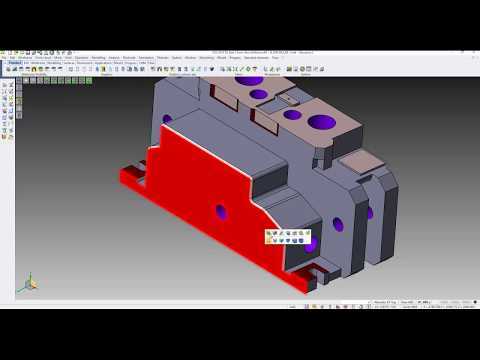 Editing capabilities are provided to edit the strip in a later stage during the Tool Die design process. 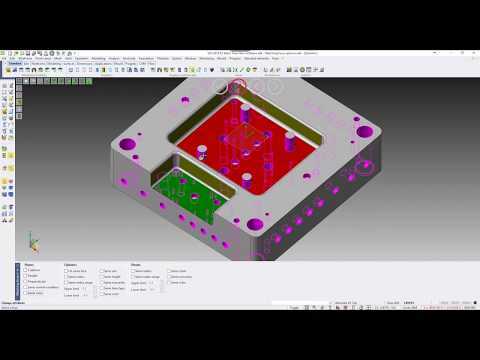 VISI 2018 R1 introduces a new Mould Tool module which provides the ability to work with supplier databases and templates with predrilled plates, working with non-standard and custom sized tools; the ability to customise tool layout with custom plates and custom sub-assemblies, the simple management of custom plates and advanced tool editing capabilities. 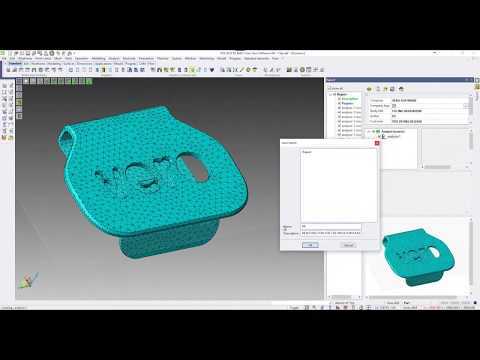 The new Mould Tool provides greater flexibility for both tool creation and editing, by allowing editing on the tool itself even if the tool design process has already begun. 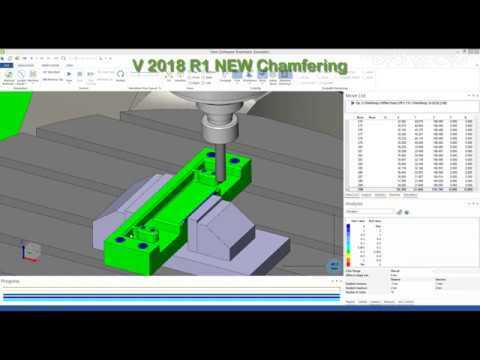 Enhanced 2.5 Axis Chamfering strategy is available in within VISI 2018 R1 which provides a number of quality improvements and an important number of fixing. 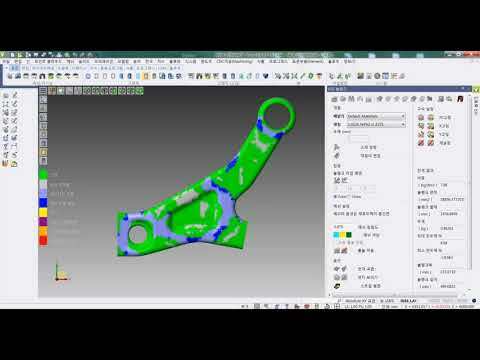 The most relevant quality improvements are a more reliable toolpath, improved Cutter Radius Compensation (CRC), multi process management on toolpath calculation, speed improvements and intelligent approach-points management. The Waterline adaptive strategy has been totally reviewed and is now able to perform the correct and expected Z levels distribution to produce a quality toolpath. It has also considerably improved the management of the variable Z steps for each independent area of the same piece being machined. 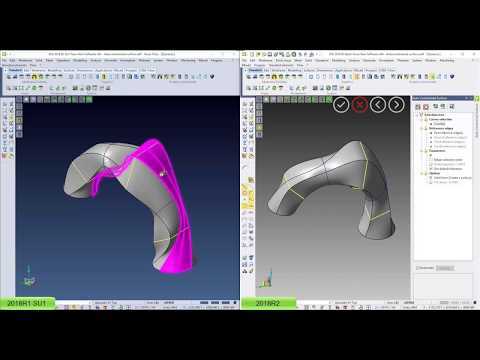 Enhanced Morph strategy with new spiral option allows to perform the passes also on the drive curves, to ensure to cover all the machining area. 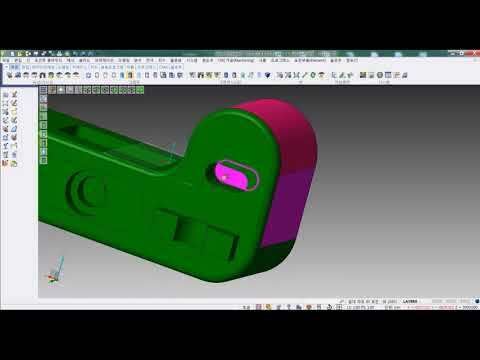 Part 1 - Companies need to produce technical reports of their CAD or CAM projects for internal use or to be provided to their customers. VISI 2018 R1 provides the ability to create customised reports on excel formats by using customised templates. It is possible to create and customise templates in excel formats to contain company data, company logo and link to relevant variables and images of the project. 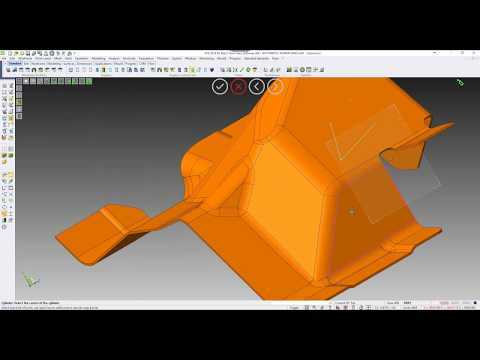 The advantage is an automatic report generation tool for CAD and CAM projects. 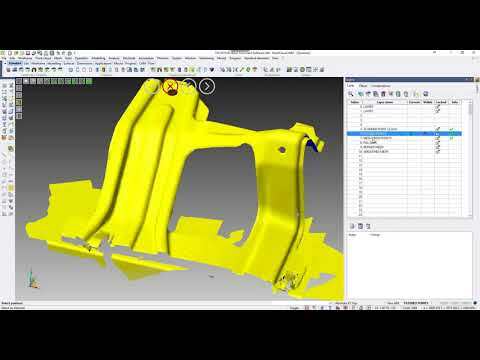 Part 2 - Companies need to produce technical reports of their CAD or CAM projects for internal use or to be provided to their customers. VISI 2018 R1 provides the ability to create customised reports on excel formats by using customised templates. It is possible to create and customise templates in excel formats to contain company data, company logo and link to relevant variables and images of the project. 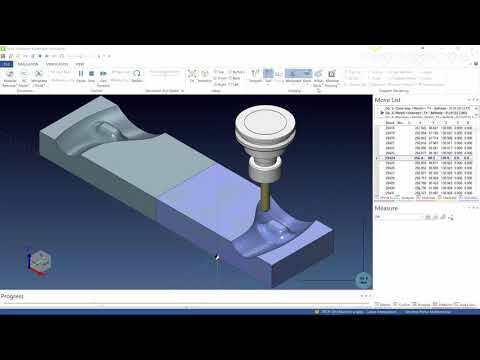 The advantage is an automatic report generation tool for CAD and CAM projects. 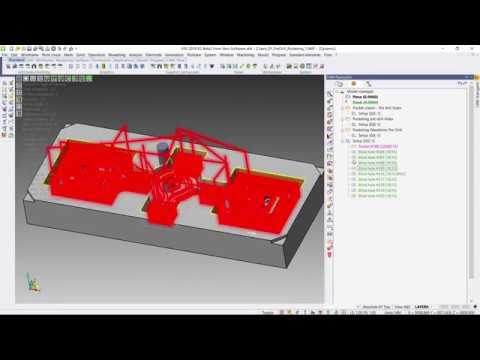 The new Mirror functionality allows the creation of a copy of the current project and to mirror all the toolpath operations contained within it. 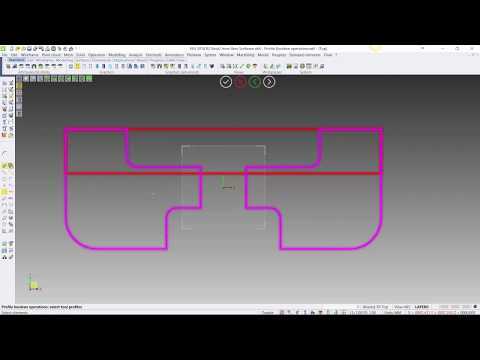 The “Mirroring” can be achieved on any 2 axis, 3 axis, 3+2 axis and 4/5 axis toolpaths generated in VISI. The mirroring, as extremely important, retains the original cutting direction for all the operations. The benefit is a time saving for the preparation of toolpaths on mirrored geometry, widely used on the automotive market. 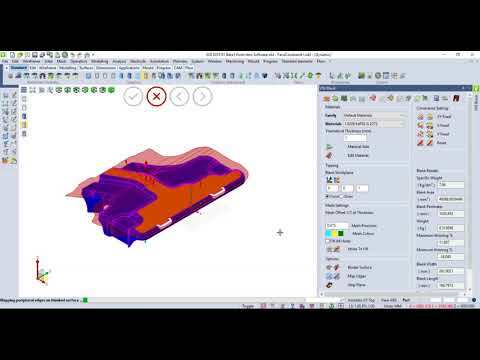 The new Reverse module, which is completely integrated in the VISI product, allows to load a points cloud and to create the relative mesh by setting different options to refine and smooth it. 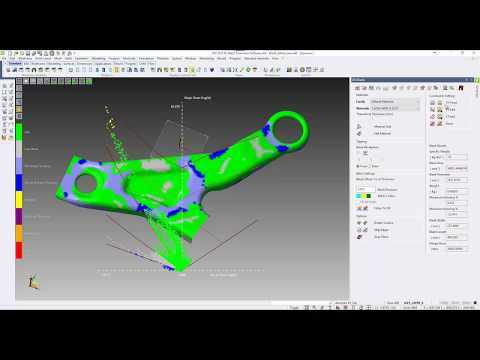 It allows to load a point cloud either from a Romer Absolute Arm or from an external file and generate the desired and optimised mesh thanks to mesh tools available to refine it. 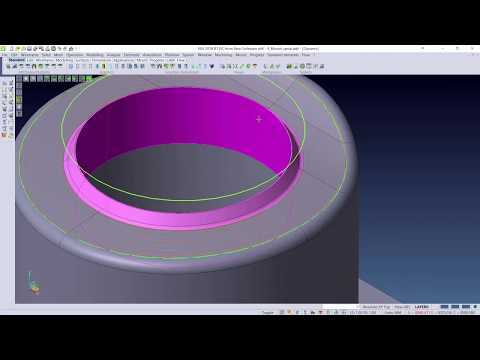 The resultant mesh could be used to create the relative surfaces, by using the available modelling functionalities, or used as it is for machining porpoises. The user experience on VISI 2018 R2 has been improved with the introduction of a more intuitive contextual toolbars. The new contextual toolbar on active selection allows to switch between the contextual functionalities accordingly to the geometry selected. The result is a more intuitive, simplified and rewarding user experience. The graphical sliders management has also been improved so that only slider labels for selected slider is shown on the screen. 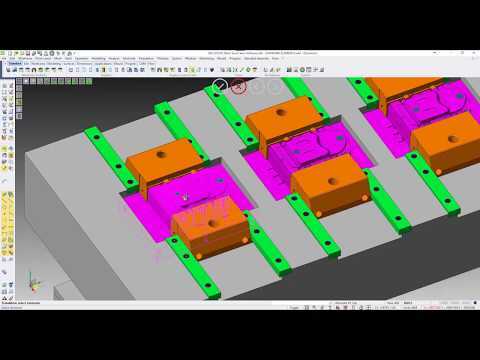 The management for multi cavity moulds has been enhanced on 2018 R2 in order to simplify the insertion of standard components in within the inserts of the mould. 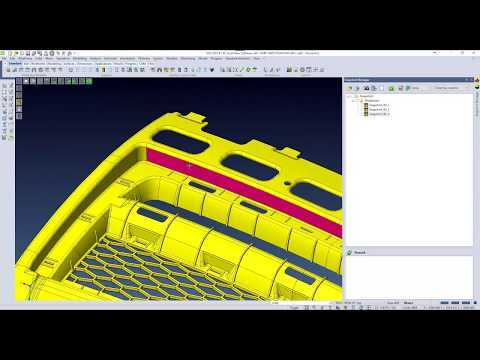 When adding a standard component in a mould insert, a solid group will automatically be created in order to manage the component as part of the mould insert and any modification to the insert will be automatically propagated to the other inserts. The face selection has been enhanced to allow matching faces to be selected. It is now possible to select matching faces by providing specific conditions such as faces types (planar, cylindrical, fillets), radius condition, faces orientation, colours and others to dynamically select similar faces accordingly to the conditions provided. A new graphical analysis (called Forming Limit Diagram) has been implemented to provide a map of the strain state of a sheet metal part in order to help the designer on the blanking result evaluation. 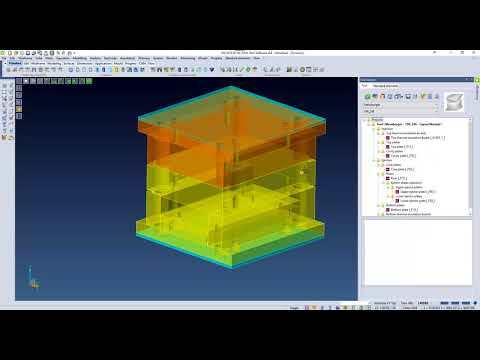 Formability describes whether the part is safe or will have areas with a tendency to split or wrinkle in order to support the designer during the design phase of the die. 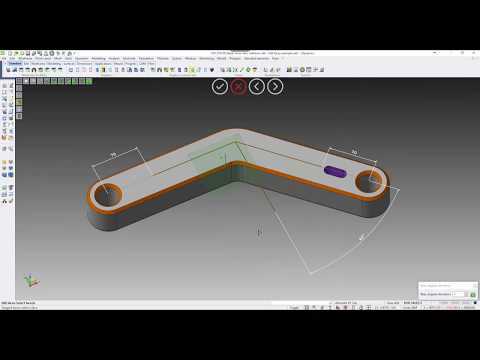 The nesting now allows to compute the nesting on solid punches and the result of the nesting operation can be used for wire operations. 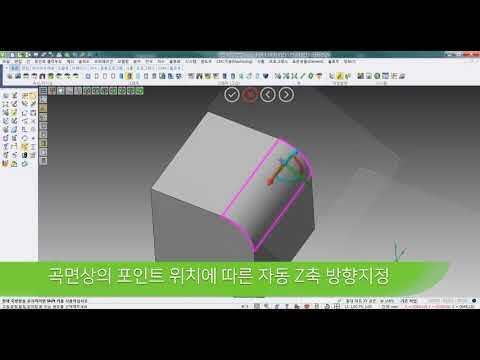 2018 R2에서는 선택면을 드래그 하거나 미는 등 기존의 치수/각도 입력방식에서 탈피한 동적인 다이렉트 모델링 방식을 적용하여 더욱 간편하게 솔리드 바디를 편집할 수 있습니다. 특히, 홀이나 포켓 형상의 중심 위치를 동일하게 유지한 채 선택면을 편집할 수 있으며, 인접면에 블렌드나 챔퍼(Chamfer)형상이 있는 경우 이를 유지한 채 관련된 면을 쉽게 연장할 수 있습니다. 뿐만 아니라, 간편한 사용방식의 작업 좌표계 축 슬라이더를 통해 여러 방향으로의 면 편집 및 변경 작업(이동/회전/돌출/옵셋 등)이 가능합니다. 블랭크 및 디스플레이 결과 기능에 새로운 시각화 옵션이 추가되었습니다. 특히, 성형 한계도 (이하, FLD)는 성형 공정 시 모델의 변형 영역을 8단계의 도표로 표시하여 변형 발생 가능 부위 확인과 성형성 파악, 이를 통한 결과 평가에 활용할 수 있습니다. VISI 2018 R2시스템 설정에 새로 추가된 작업 좌표계 방향 자동지정 기능은 설계과정 중 언제라도 작업 평면을 더욱 직관적이고 동적인 방식으로 설정할 수 있습니다.해당 옵션기능을 활성화하여 작업 좌표계를 생성하면, 자유 곡면에서도 선택된 면/포인트/모서리 상의 커서위치 이동에 따라 해당 위치에 수직인 Z축 방향이 자동 지정됩니다. 작업 좌표계 이동시Shift 키를 누른 상태에서 원점을 드래그 하면 기존의 축방향을 고정한채 작업 좌표계를 이동시킬 수 있으며, Alt키를 누른 채 X, Y, Z 축 중 원하는 축을 드래그 하여 커서가 위치한 포인트에 맞게 방향을 변경할 수 있습니다.또한, 축 슬라이더를 통해 축의 회전 방향과 각도 등을 쉽고 유연하게 조정할 수 있도록 작업 좌표계의 사용 편의성이 더욱 향상되었습니다.